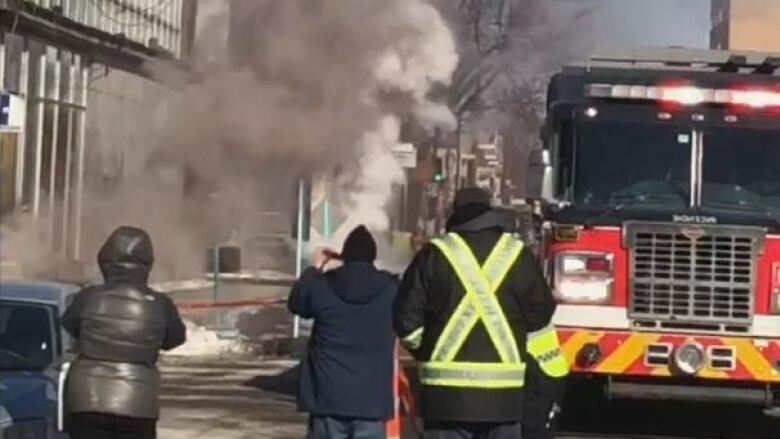 Hydro-Québec says a power outage affecting Montreal is connected to an underground explosion and a fire in a manhole in Rosemont—La Petite-Patrie. The Metro Blue line was down most of the afternoon but is back up and running. Metro Blue line back up, 11,000 still without power as of 7:00 p.m.
Hydro-Québec says a power outage affecting Montreal is connected to an underground explosion and a fire in a manhole in Rosemont—La Petite–Patrie.